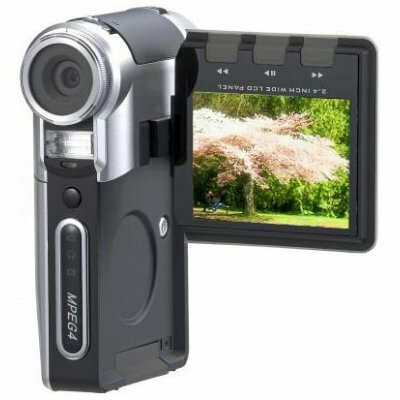 Successfully Added Handheld Mini Digital Camcorder - 3.1 MP - 2.4 Inch TFT to your Shopping Cart. Great Chinavasion new wholesale Digital Camcorder with 3.0 Mega pixel CMOS imaging sensor and built-in 32MB internal flash and compatiable with max.2GB SD/MMC card. Features high quality 270 degree rotating 2.4 inch TFT LCD display and include 1/2~1/ 5000sec Electronic shutter. One piece 3.7V/950mAh Li-ion battery to give this product power supply. It connects with computer by USB2.0 PC interface.. Even lower prices available for you if you're ordering in larger wholesale quantities. Get your samples first then contact us for your personal discount quotes! If you wish to make comments or reviews about this product, please use the product review. Please open a enquiry ticket if you have questions..